Even photographers that shoot clean room stock photos get their gear dirty. 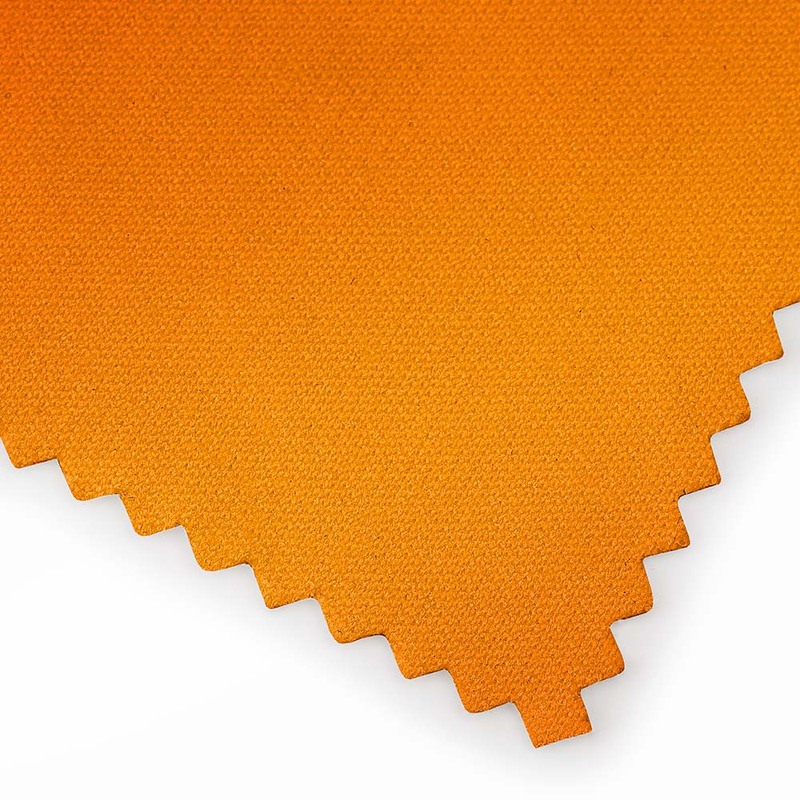 Wipe down your equipment with a LenzBuddy™ custom lens cloth. Each cloth comes packed with microfiber magic - we don't know exactly how those microfibers do their thing, but it works remarkably well. 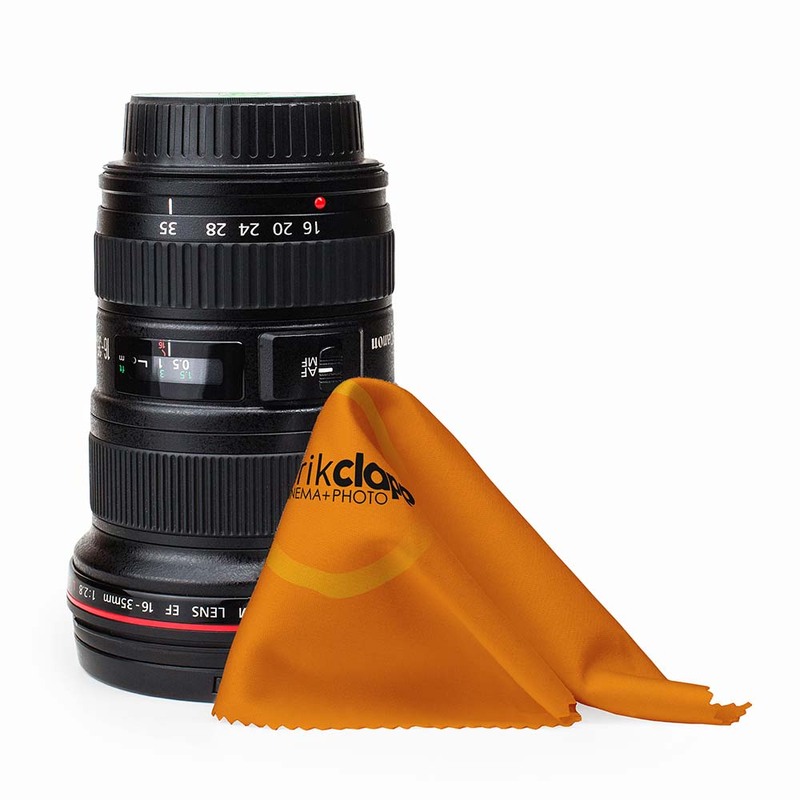 Are there other lens cloths out there? YES! Boring ones of course. 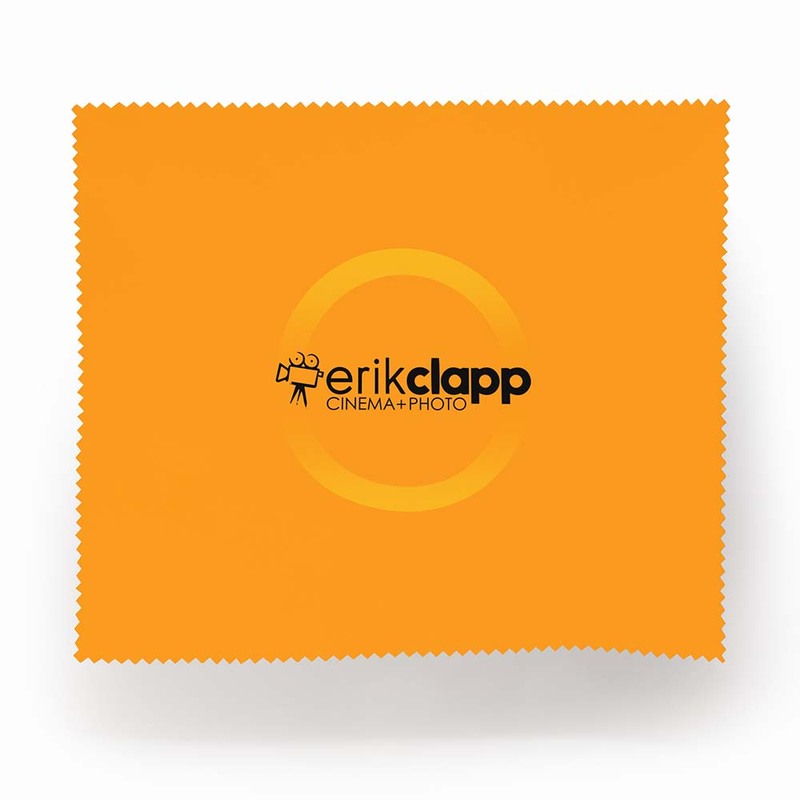 Customize the front of your cloth with your own logo, picture, or clever quip. While you are at it, order a few extra to hand out to potential clients that wear glasses. Your brand and contact info will always be in their pocket! Also, we'll knock 50% off an order of 5 or more of the same design, because we are cool like that. 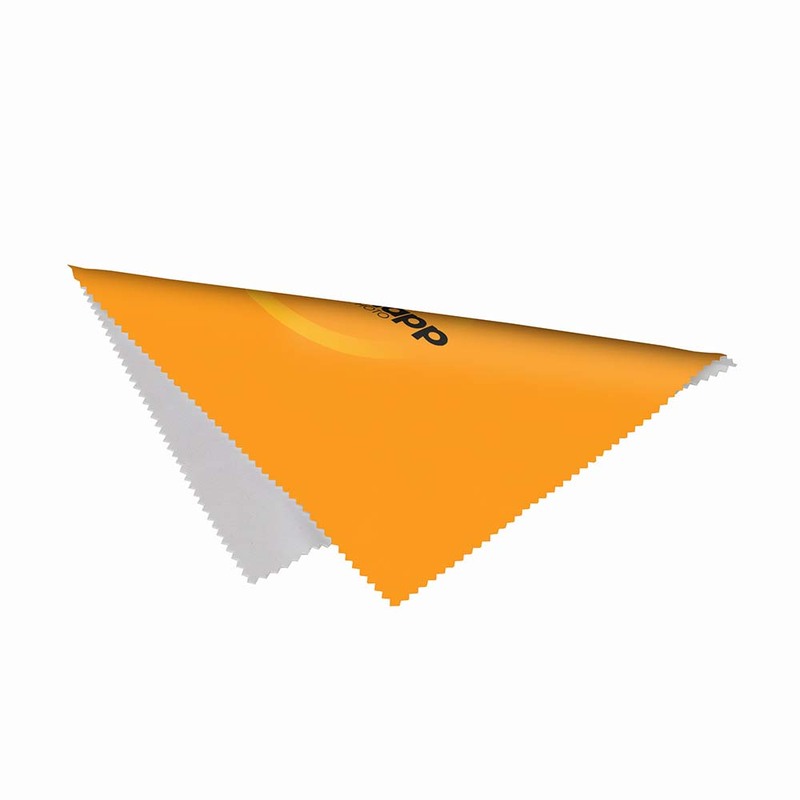 You can save out rasterized images stored in files like JPG, PNG, or BMP, please save them with pixel dimensions of at least 2400x2400 for our cleaning cloth products to ensure the best quality. If you have concerns about your graphics, please contact us before you place you order, and we will be happy to help you make sure they are optimal. Proof will be sent for your approval. Also please note that our cleaning cloth starts out white. If you wish for your cloth background behind your text/logo to be a certain color, please include that colored background in your design file. If you have any additional questions please contact us. We also have a FAQ section that answers quite a bit! Our lens cloths look great! These guys are great to work with. Fast turn around times and a fantastic quality custom product.